In the history of man’s evolution, „up the tree – and quickly!“ seemed a splendid option when it came to escaping from all sorts of bloodthirsty evil inadvertently popping up from nowhere. In order not to be devoured, predominantly benign early humans, hunting and gathering relentlessly, just followed their instinct. Enabled by helpful tools shaped from stone, hammered from bronze or cast from iron in later ages, the long-hatched dream of a safe permanent dwelling high up a tree did come true. Second best to the cosiness of easily defendable caves, the properly fastened tree-house offered lofty shelter, an ideal lookout for invaders and food protection from voracious scavengers – whereby the odd poisonous snake or spider moving in unasked had to be tolerated. 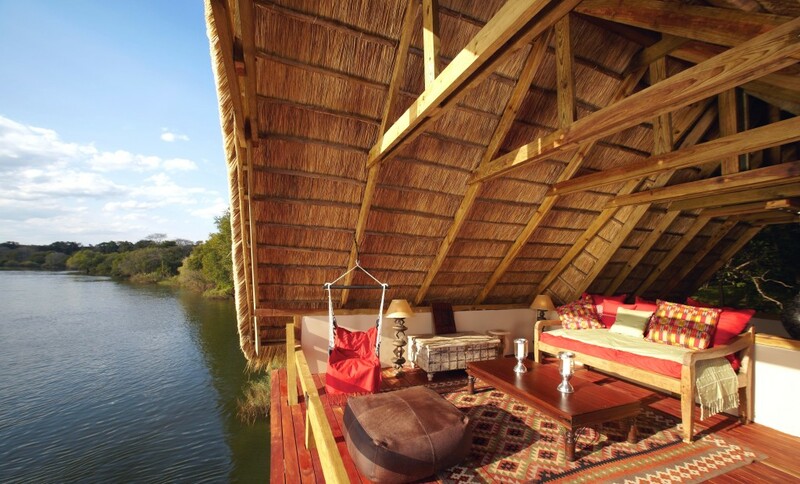 Tongabezi – by the banks of the Zambezi river close to the spectacular Victoria Falls. Glamping also means having to share neither showers nor water closets nor the detested creatures thriving in such habitat – all justified dreads of radical camping opponents. And it often is a pretty posh affair. Many independent properties and hospitality brands are offering a repertory of accommodation with ample private space, high-class equipment and service, fine cuisine, crisp linen and a wealth of other goodies. Camp sites may be situated either within the hotel’s surrounding premises or far beyond civilization – where no shine of urban light ever disturbs the uniqueness of a starry, starry night. 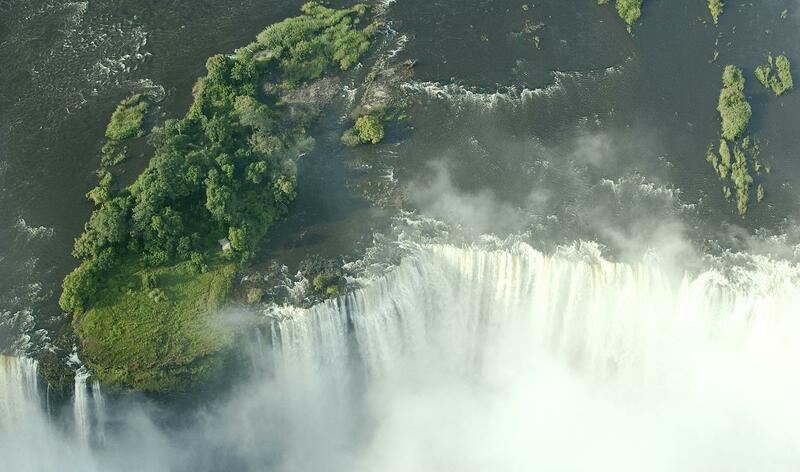 Livingstone Island on the right edge of the Victoria Falls is only accessible from Zambia. From here, David Livingstone first observed the steaming cascades.